Is it the aroma of home-cooked food that permeates through the entire dwelling? Or is it the chatter that the kids generate? Is it the convenience of popping downstairs for a quick meal and a grocery run, knowing that stores are well within walking distance? Or is it the easy access to recreational activities so that the kids can be kept occupied come weekends? Or simply put, is it the people who you share the home with? Truth is, it is everything of the above. A place to stay provides a roof over your head, but a home is where you are able to seek shelter and weather all of life's little storms - together with the warmth only a family can provide. And if you are looking for a new spacious home to house your family and enjoy the benefits of city fringe living, Sims Urban Oasis (SUO) is highly worth a look. SUO is a thoughtfully-designed 99-year leasehold private located at the junction of Sims Drive and Aljunied Road. 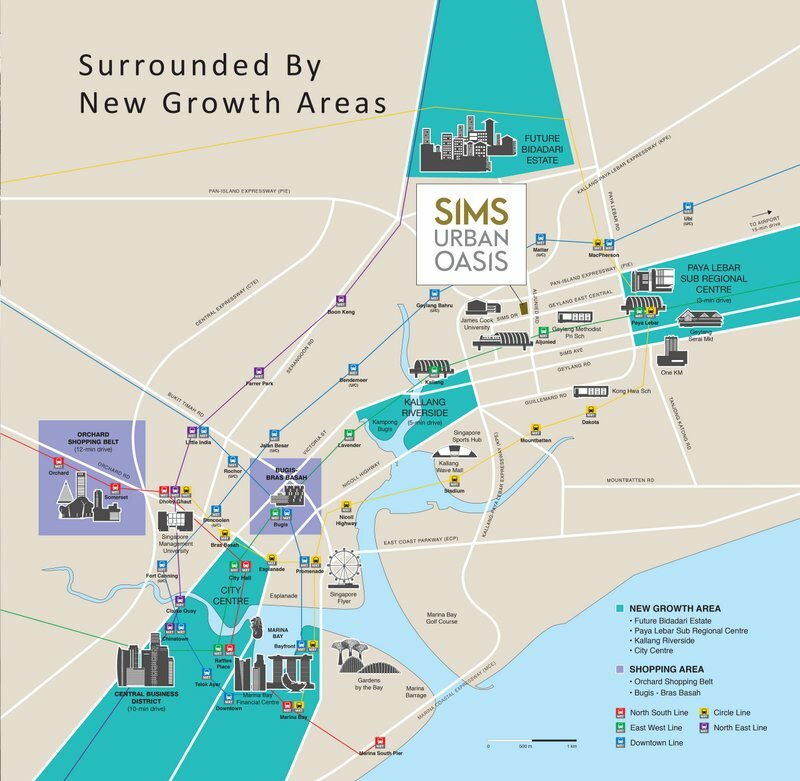 Living in a condominium often brings convenience and comfort in the form of facilities and at Sims Urban Oasis, I think all families will be spoilt for choice! There are a whopping total of 9 zones, with each zone catering for a specific lifestyle. In need of some relaxation and rest? Head to the OASIS zone for its Bubble Jet and Aqua Bed facilities. Want to spend bonding time with the kids? The FAMILY zone which consists of the BBQ Pavilion, Children’s play and wading pool is where the action is at. Working at your fitness? Sprint over to the WELLNESS zone where you can find the Tennis Court and 2 Olympic-length pools. Parents can even sign up their kids for Tennis and Swimming lessons! And just for that added convenience, the condominium will also be home to six retail shops and a childcare centre - great for parents who will be sending and fetching their kids from school. During my visit to the Sims Urban Oasis site, I managed to catch a glimpse of the completed children’s pool playground and the surroundings sure look almost ready for occupancy to me! The great thing about SUO is that it is designed consciously for the adaptation of all lifestyles. Large multi-generation families that require a spacious setting can opt for the dual-key or 4/5bedroom units, whereas the younger families can choose 3 bedroom units with a cosier layout. I was also able to view the 4-bedroom in-situ show flat while I was there and the first thing that struck me when I entered was its spaciousness compared to other properties that I had viewed in the past. For me, the best utilisation of space is when I am able to see almost everything - from the dining area to the living room - at one glance from the main door. No long corridors or awkward angled walls, thank you very much. Balcony space is rather generous too so if you have kids, it will make for a cosy reading or play corner... especially if they have friends over! The kitchen comes with a solid surface worktop and is equipped with a fridge, a washer and a built-in oven/cooker hood. The dining area is also well-positioned - food from the oven goes straight to the table! With the extra island at the dry kitchen area, you get more space to whip up that special meal when guest come over to visit. One unique aspect about SUO is that units do not come with a bomb shelter, or in Singapore's context, a storeroom. Instead, the space saved is cleverly channelled into the creation of an additional small room which you can use it as a laundry/ironing room, study room or even a room for the domestic helper. The Master Bedroom is pretty spacious, given that bedrooms in new condominium launches nowadays are relatively small. A King-sized bed can fit into the room with ease. Other bedrooms within the development are of a standard size and can fit a queen-sized bed. The unit also has a higher ceiling compared to normal apartments and if you have kids, you can install a loft bed, making more space for work and play at the bottom. Moreover, loft beds are always be a hit with the kids. Just ask Ale! Oh and there is an important point to note, all of SUO units are free of bay windows. If you are gunning for the 4 or 5 bedroom units, 2 of the bedrooms also come with en suite bathroom for greater convenience and privacy if your kids are approaching teen hood. And speaking of bathrooms, can I just say that the bathrooms are extremely spacious and come nicely designed? I sneaked a peek into the 3-bedroom in-situ show flat as well, and I would say the unit will be highly suitable for expanding families. 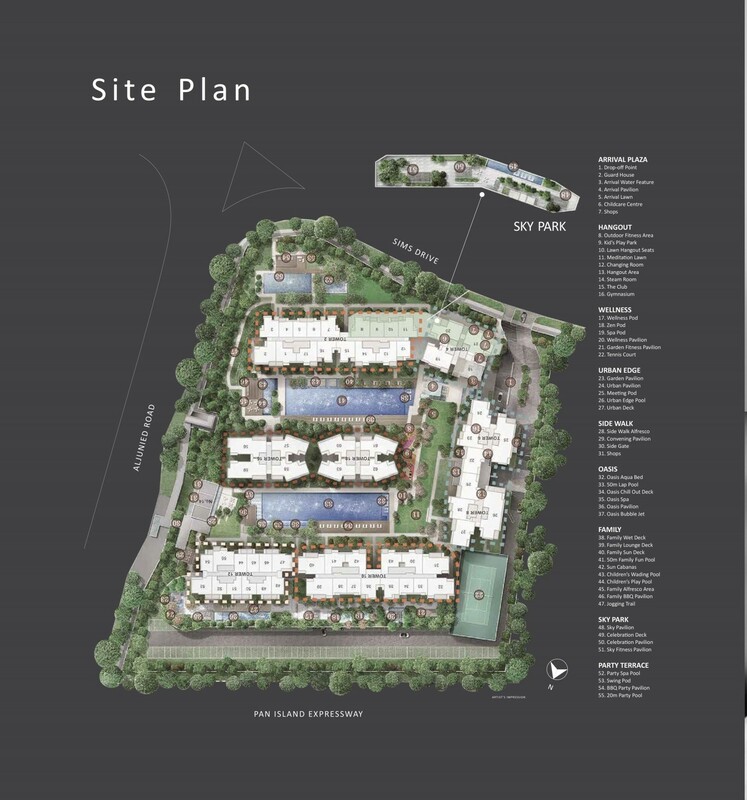 For all the amenities and space that SUO provides, all of it will count for nothing if it is located in an ulu (or remote) part of Singapore. Fortunately, the property is located at the city-fringe, only a 5-minute walk to Aljunied MRT station with 1 MRT stop to Paya Lebar, 3 stops to Bugis and 5 stops to Raffles Place. That's how close it is to the city centre! Its connectivity is enhanced with links to major expressways like the PIE, KPE and ECP, and major roads such as Sims Ave, Paya Lebar Road and Changi Road. Even Changi Airport - which has chockful of free activities for kids - is only a 15-minute drive away. Feeling hungry? Indulge in delicious and affordable hawker food near renowned hawker centres like Sims Vista Market and Old Airport Road Food Centre. 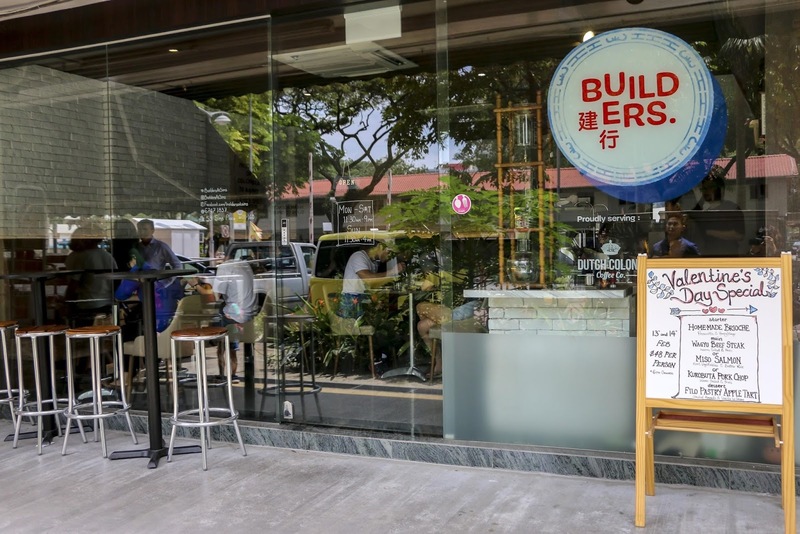 After viewing the showflats, we took the chance to visit some of the hipster cafes that have sprouted around the neighbourhood. We decided to have our lunch at Builders @ Sims, which was nestled under a block of flats at Sims Drive. Food was surprisingly affordable for a cafe... and the Wagyu Burger and Carbonara were a hit with us! For families with kids, you will be glad to know that SUO is close to quality educational institutions like Geylang Methodist Primary, Etonhouse International, James Cook University and the upcoming Nexus International School. Book lovers can also frequent the Geylang East Library which is located a walk-able 600 metres away. If you love a wider variety, the National Library is also easily accessible from Bugis MRT station (3 MRT stops away). When it comes to recreational activities, Singapore Sports Hub and Kallang Riverside Park is only an 8-minute cycle away. Even malls like Kallang Wave Mall, OneKM Mall and Kallang Leisure Park are close by too. The latter houses an indoor ice skating rink in the form of Kallang Ice World, which Ale was excited to visit. And what the princess wants, the princess gets. LOL. - Availability of thoughtfully-designed 5-bedroom or dual-key units for large families. - A variety of facilities to choose from, specially catered not just for children but also for the adults. - Units are designed to make good use of the space. Layouts are not as cramped or weird compared to some other developments which come with odd little corners. - Excellent location at the fringe of the city with the CBD, Marina Financial District, Orchard Road and Kallang Sports Hub are all within a drive time of 15 minutes or less. - A 5-minute walk to Aljunied MRT station. - Choice of primary schools within 1-km of the site - Canossa Convent Primary, Macpherson Primary and Geylang Methodist Primary. 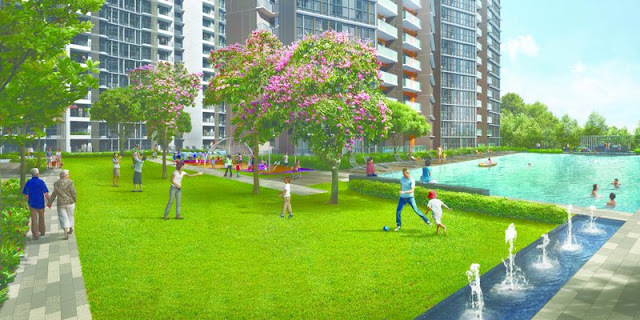 - Near to numerous amenities, including F&B offerings, market and shopping malls. 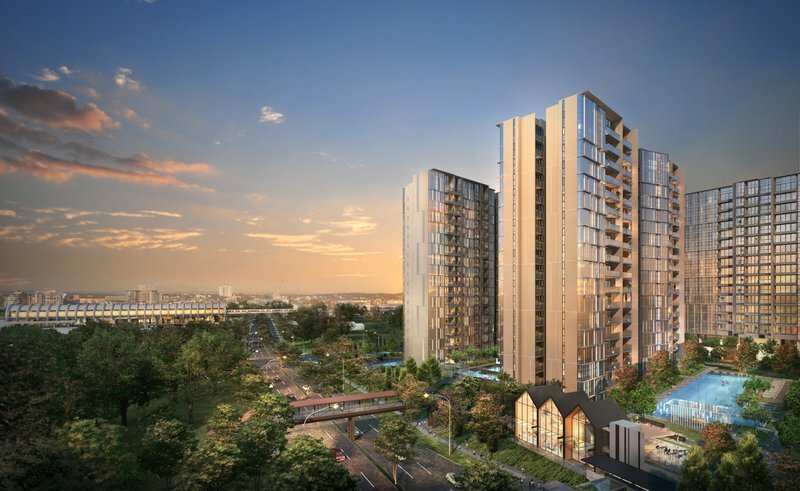 As the first prime private residential development in the Sims Drive area, SUO is poised to rejuvenate a charming and accessible location of Singapore. With well-designed homes and quality amenities, living at SUO will make going to work, school or anywhere a breeze – convenience everyone in the family can enjoy every day. For more information, visit Sims Urban Oasis' website or stay updated at its Facebook page. Better still, head to its showflat at Sims Drive to view it for yourself! Call 6225 9000 for an appointment.